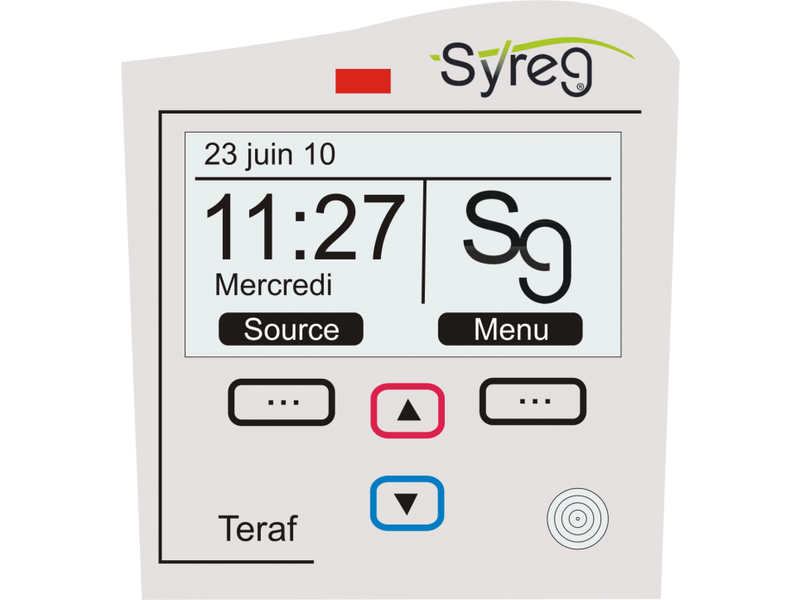 Teraf module includes a LCD graphical display (240x 128). Teraf helps regulate the temperature of a room according to its occupation. 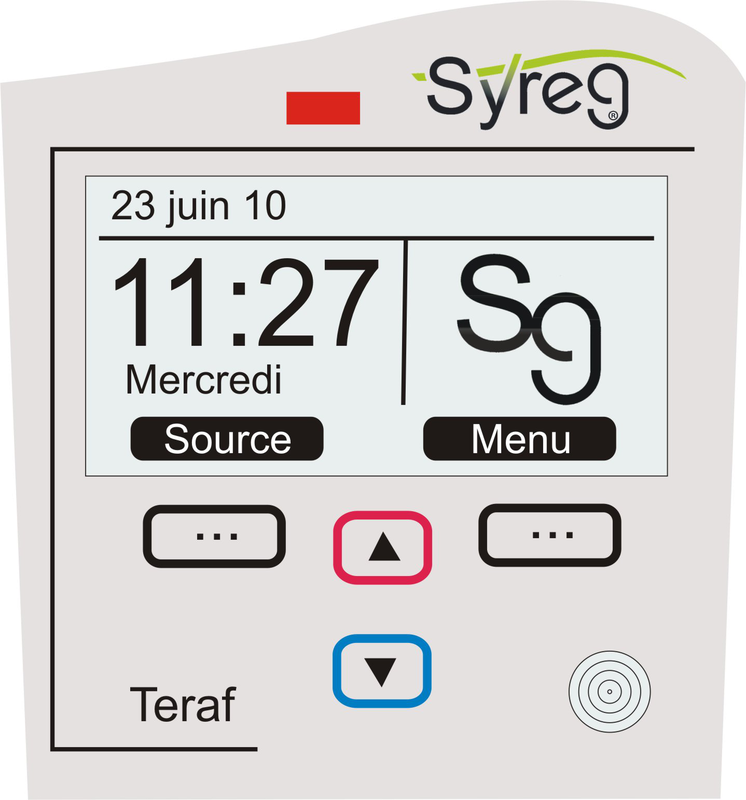 It receives operating instructions from programmed time slots. Teraf stores and internally calculates the average value of the temperature over a specific period. The window state is also stored as well as the operation time of the heater. This information has a relative importance that informs the administrator about the room use. The module connects to Terali with an RJ45 cable. Warning, this module is no longer used for new installations. Backlight intensity adjustment It is possible to manually change the temperature set point, but the change is only possible for a limited period. We stress that that the automatic mode always overrides the manual function.